TAMPA - The Fort Homer Hesterly Armory on Howard Ave. in South Tampa hosted many major events back in its heyday. The King of Rock N' Roll Elvis Presley played several sold-out concerts at the venue, the Rev. Martin Luther King Jr. gave a memorable civil rights speech there in 1961 and President John Kennedy paid a visit just days before he was killed by an assassin's bullet in Dallas. It also hosted professional wrestling matches every Tuesday night. Thousands of fans attended each week to cheer on the good guys and boo the bad. It features pictures and write-ups on such professional wrestling legends as Jack and Jerry Brisco, Mike and Eddie Graham, the Great Malenko, The American Dream Dusty Rhodes, Steve Keirn and many more including a former Hillsborough County Commissioner - Brian Blair. He wrestled at the Armory but his memories of the place go back to childhood. Blair, a Bay area native, was out front every Tuesday trying to figure out a way to sneak in. 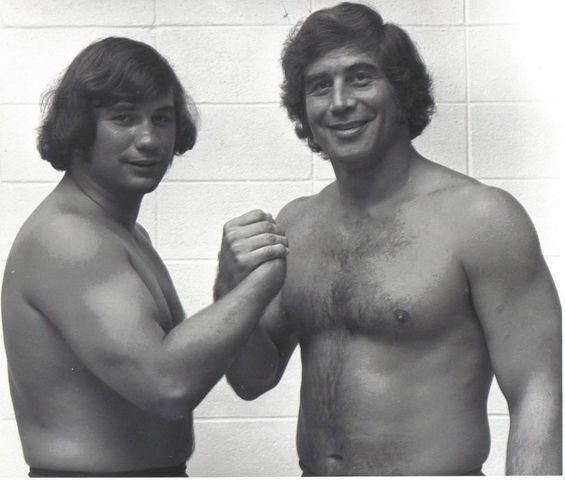 "This was a place where I fell in love with professional wrestling; in order to get in Steve Keirn would let me carry his bags up the stairs to the wrestlers' dressing room," Blair recalled. "It was so exciting, it was packed and there was no air conditioning, everyone was sweating but we didn't care - it was amazing." After graduating from Hillsborough High School, Blair went to college for a while but he was drawn to the ring. He trained under Hiro Matsuda - the same guy that trained Hulk Hogan - and made a living as a professional wrestler for nearly three decades. He competed in every major professional wrestling organization from Championship Wrestling from Florida, the American Wrestling Association and what is now called World Wrestling Entertainment. "In the early days of Championship Wrestling from Florida there were no professional sports teams; no Rays, no Bucs, no Lightning," Blair said. "The Homer Hesterly Armory was the place to be - a place where you could watch Dusty Rhodes, the Briscos, the Funk Brothers and the Great Malenko. It was and still is a very special place to me and hordes of wrestling fans in the area." The 'Wrestling at the Armory,' wall was the brainchild of Jody Simon, the son of Larry 'The Great Malenko' Simon. The elder Simon passed away in 1994 following a battle with Leukemia. If you would like to check out the wall, stop by the JCC.